Cleans Deep Down Dirt In Hard To Reach Places! The hand tool cleans deep-down dirt and stains, spills and grime in high traffic areas and hard to reach nooks and crannies of your home. The Universal Hand Tool works with the Mighty Pro, Mighty Pro X3 and Wide Track Machines. 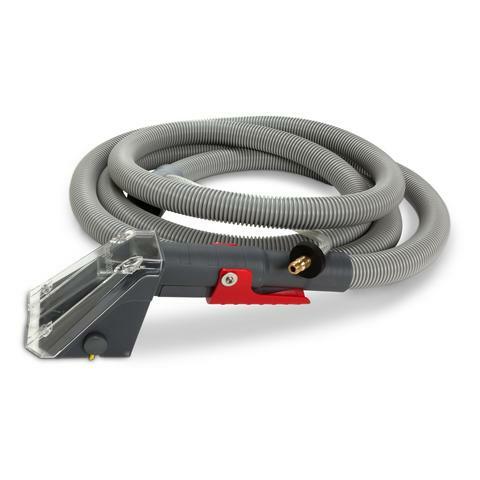 The hand tool is easy to use, just squeeze the trigger to spray solution and let the powerful 1.9 hp motor of your Rug Doctor Machine suction up the dirt and cleaning solution as you pull the hand tool over fabric. The hand tool is easy to use so anyone, not just professionals, can experience the deep cleaning power and versatility of the Rug Doctor Hand Tool.